This new release from Charles Smiley Presents, is quite a fascinating trip! Comprehensive coverage of the old WP. 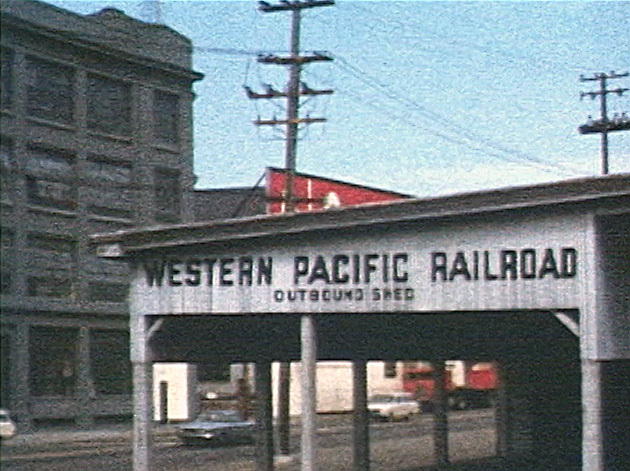 All vintage films, featuring Western Pacific. Cab rides galore! Plenty of trackside views and a wide array of views. This gives viewer a unique experience of what being on the WP was like, so many years ago. 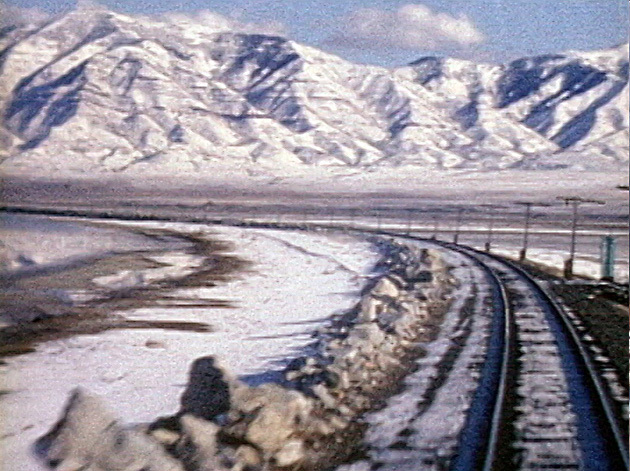 A Western Pacific engineer had filmed major portions of the railroad. Additional cinematographers provided the many other viewpoints. Natural sounds that are scene specific, make for memorable trainwatching. The huge amount of cab ride footage, sets this show apart. Seeing is believing. Actual screenshots from this all color film program. 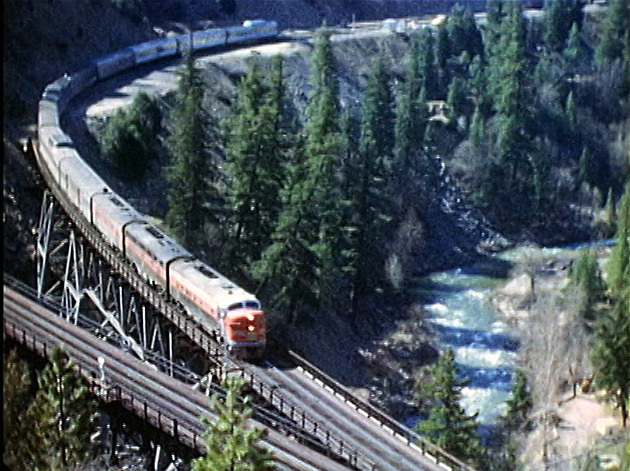 California Zephyr receives extensive coverage. We ride the CZ on Western Pacific rails. Charles Smiley consistently produces an exceptional level of high quality programs. All the films have been digitally mastered, for best viewing available from the source reels. Color balance is excellent throughout this show. Original 8mm film is the bulk of this program. Very clean looking and some of the best 8mm that has been reviewed here. 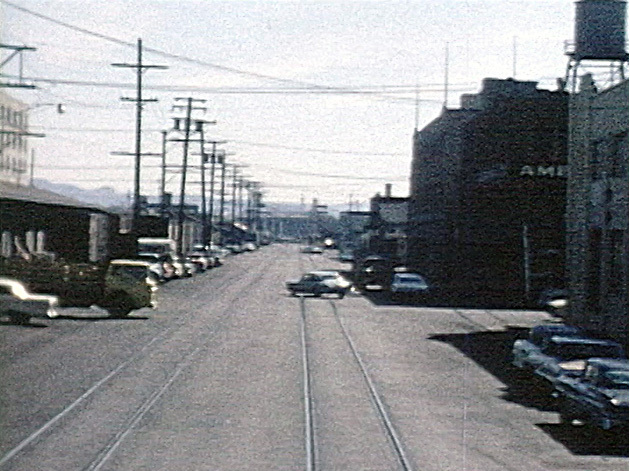 Some 16mm footage also looks great. Intelligent narration by Charles moves the story along nicely. His relaxed style and enthusiasm are evident. Good historical information and a wealth of detail is entertaining. 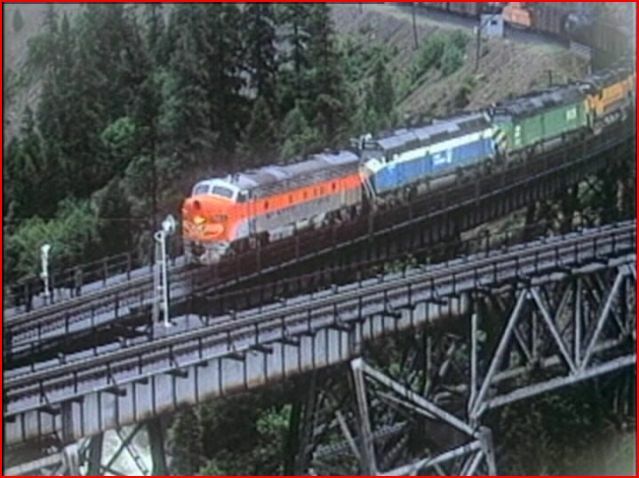 Burlington Northern was often in the locomotive lash-ups. BN participation on ‘The Inside Gateway’ is discussed. 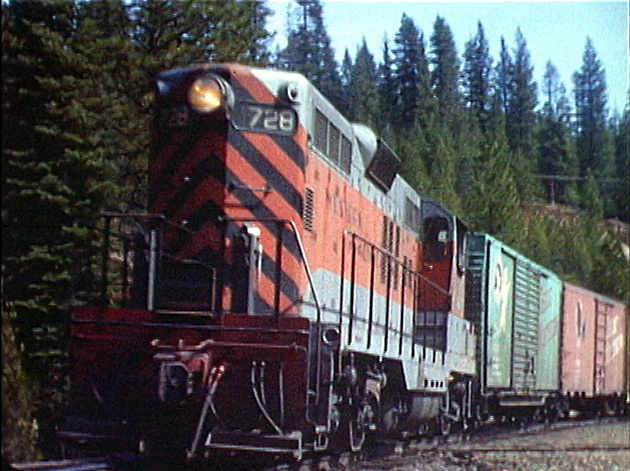 Great Northern, Burlington Northern and Spokane, Portland & Seattle trail the lead F unit on Keddie Wye. Having seen many of CSP programs, one gains some familiarity, and background on all subjects contained in the shows. This includes history lessons that give viewers a complete overview of a given line. He is an expansive, and generous host. Many inside stories, and reaches beyond ‘railroad only’ discussions. These maps are a fine extra to have in the program. They outline: towns, routes, elevations etc.. Frequent references to specific maps outline the individual trips. On-screen graphics are seen at the right moments. Custom made maps have an even higher standard on this 2012 release. The relief here illustrates ‘The Valley’ and surrounding terrain. 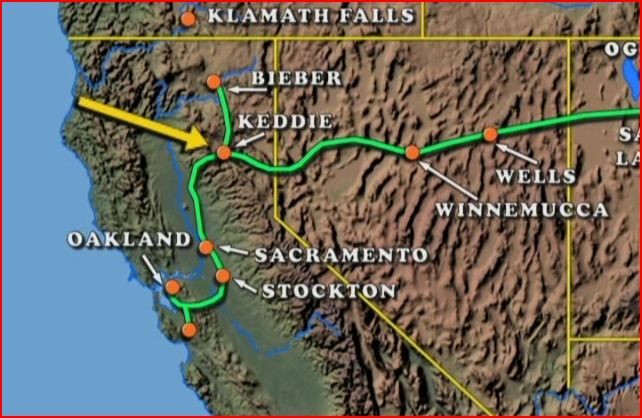 Note the routes shown. Old buildings and stations are interesting. A world gone by… San Francisco. 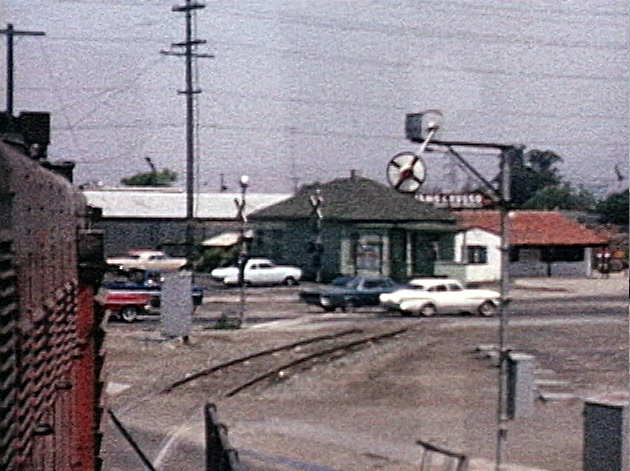 San Jose cab ride, is one of many railroad crew, type of views. ..
Norman W. Holmes was an Engineer on Western Pacific. His judicious use of a movie camera has preserved not only the look of WP, but also gives a feel of what the line was like. Mr. Holmes definitely got around on the various lines. Mr. Holmes has a book titled ‘My Western Pacific Railroad’ on the market. The streets of Oakland, and a busy produce district. Salt Lake and snow covered Wasatch Mountains loom ahead! 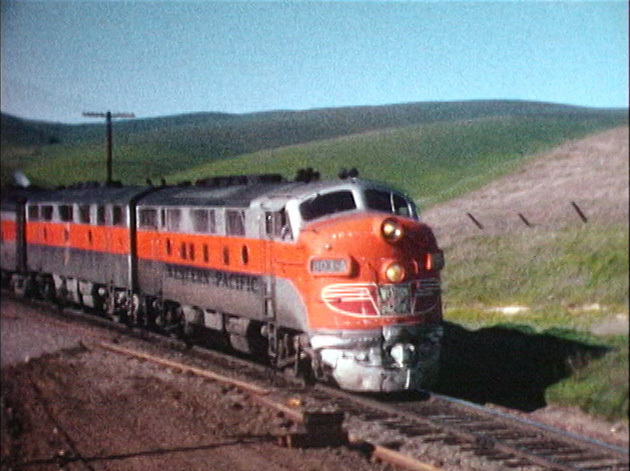 California Zephyr at Keddie Wye. Isn’t she sweet? WP 2005 at Niles Yard. 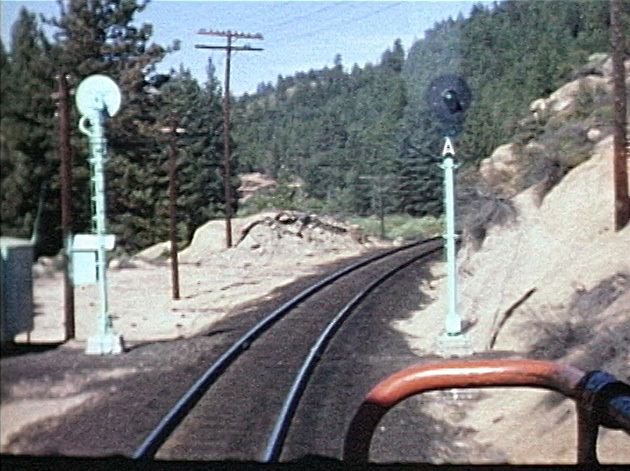 Williams Loop is the location. The Great Northern boxcars behind the early GP locomotive get a modeler’s imagination going. What a great scene to model in say… HO Scale. A plethora of freight trains that will satisfy railfans and modelers. In fact, many old classic freight cars are to be found within this program. 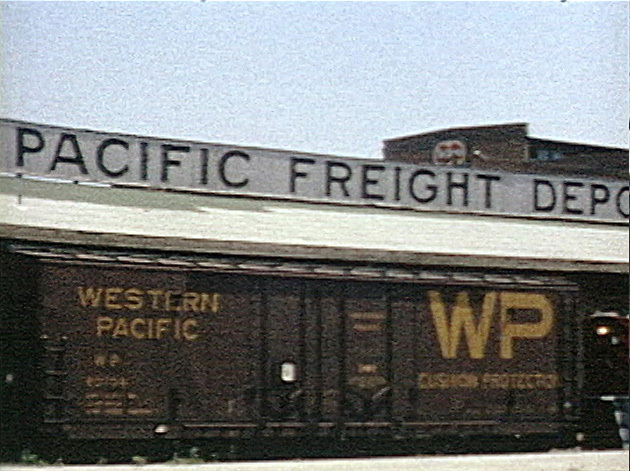 Western Pacific Remembered is a wonderful experience for viewers to indulge . Charles Smiley is a producer in a class of his own. Mr. Smiley is a fine model railroader too. He does aim to please railfans, and model railroaders both. Really, all viewers will enjoy this one. At nearly 2 hours in length, this review only skims the surface of the show. 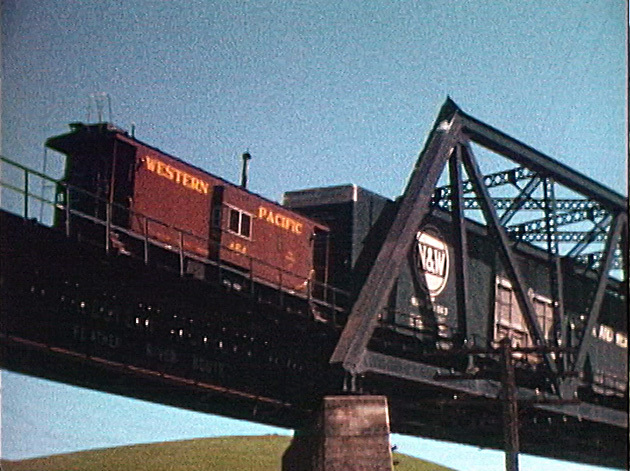 There is a treasure trove of vintage Western Pacific Railroad here. This show is akin to a time machine visit to the Western Pacific. 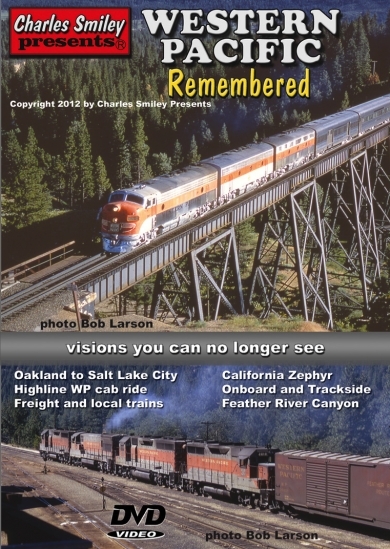 This entry was posted in ATVR Reviews, Charles Smiley Presents and tagged American Train Video Reviews, Burlington Northern, California, new releases, Railroad, Train DVD, Union Pacific, Western Pacific by William J. Hudson. Bookmark the permalink.